The physiological changes that accompany hepatic impairment alter drug disposition. Porto-systemic shunting might decrease the first-pass metabolism of a drug and lead to increased oral bioavailability of highly extracted drugs. Distribution can also be altered as a result of impaired production of drug-binding proteins or changes in body composition. Furthermore, the activity and capacity of hepatic drug metabolizing enzymes might be affected to various degrees in patients with chronic liver disease. These changes would result in increased concentrations and reduced plasma clearance of drugs, which is often difficult to predict. The pharmacology of analgesics is also altered in liver disease. Pain management in hepatically impaired patients is challenging owing to a lack of evidence-based guidelines for the use of analgesics in this population. Complications such as bleeding due to antiplatelet activity, gastrointestinal irritation, and renal failure are more likely to occur with nonsteroidal anti-inflammatory drugs in patients with severe hepatic impairment. Thus, this analgesic class should be avoided in this population. 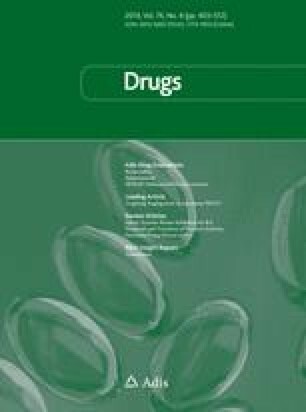 The pharmacokinetic parameters of paracetamol (acetaminophen) are altered in patients with severe liver disease, but the short-term use of this drug at reduced doses (2 grams daily) appears to be safe in patients with nonalcoholic liver disease. The disposition of a large number of opioid drugs is affected in the presence of hepatic impairment. Certain opioids such as codeine or tramadol, for instance, rely on hepatic biotransformation to active metabolites. A possible reduction of their analgesic effect would be the expected pharmacodynamic consequence of hepatic impairment. Some opioids, such as pethidine (meperidine), have toxic metabolites. The slower elimination of these metabolites can result in an increased risk of toxicity in patients with liver disease, and these drugs should be avoided in this population. The drug clearance of a number of opioids, such as morphine, oxycodone, tramadol and alfentanil, might be decreased in moderate or severe hepatic impairment. For the highly excreted morphine, hydromorphone and oxycodone, an important increase in bioavailability occurs after oral administration in patients with hepatic impairment. Lower doses and/or longer administration intervals should be used when these opioids are administered to patients with liver disease to avoid the risk of accumulation and the potential increase of adverse effects. Finally, the pharmacokinetics of phenylpiperidine opioids such as fentanyl, sufentanil and remifentanil appear to be unaffected in hepatic disease. All opioid drugs can precipitate or aggravate hepatic encephalopathy in patients with severe liver disease, thus requiring cautious use and careful monitoring. The preparation of this review was supported by a grant from the Swiss National Science Foundation (N°K-23K1-122264). The authors have no conflicts of interest that are directly relevant to the content of this review.